The beautiful colors and designs in Mexican folk art makes it a style that begs to be imitated. I made a Power Point presentation showing Mexican folk art. Since folk art is a primitive style, we are using the owl as our subject—besides that, I like owls. I’ve included a page of owl sketches that can be shown on the Elmo or printed off with each getting a copy, to give the kids ideas for drawing their owl. 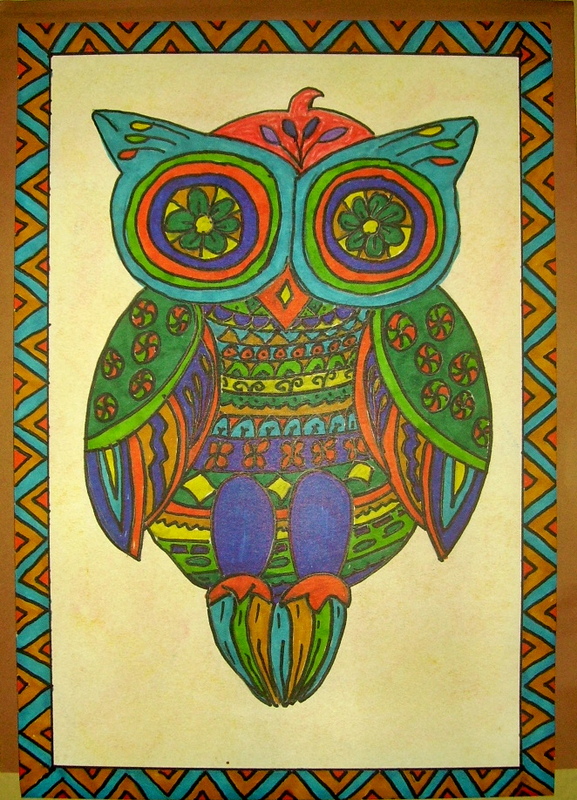 Directions for, “Mexican Folk Art Owl,” are in the 5th Grade Projects Gallery in the sidebar. This entry was posted in 5th Grade, Categories and tagged 5th Grade, art and crafts projects for kids, easy art for the classroom, elementary art projects for children, mexican art project, mexican folk art, mexican folk art owl, mexican folk art project for kids, mexican owl art, owl art project. Bookmark the permalink.